The chair of the SEC (Securities and Exchange Commission) in the US has warned that cyber-attacks are the most prominent threat to the financial system worldwide. Mary Jo White made the stark warning on cyber-security, or lack of it, at the Reuters Financial Regulation Summit over in Washington. Commenting on some major exchanges and clearing houses, she said: "What we found, as a general matter so far, is a lot of preparedness, a lot of awareness but also their policies and procedures are not tailored to their particular risks. As we go out there now, we are pointing that out." White also noted that the SEC is being active in reviewing cyber-security defences of the likes of brokers to ensure they are up to scratch. Reuters reports that various experts from the security industry have said that White's warning represents the strongest one yet to be voiced on the subject of cyber-defence and the banking system. That's not surprising though, given the recent incident where the central bank of Bangladesh was ripped off by hackers to the tune of $81 million (around £55 million, or AU$113 million). Bangladesh Bank suffered from woeful security and lacked basic measures such as a firewall, and also used bargain basement $10 switches in its internal networks, all of which made it a much easier target than it should have been – and also meant it was much more difficult to trace those who pulled off the online heist. Last week, global payments network Swift warned that a second bank had been hit by hackers using broadly the same tools and methods seen in the Bangladesh affair. 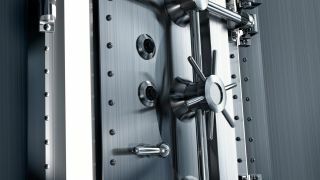 Many more banks, particularly those in developing nations, are at risk according to Swift, and they need to be seriously looking at their security measures. So does the banking industry all round, by all accounts, and that's exactly the point the SEC is now trying to make.